In 2011, southern Sudan witnessed a successful and peaceful referendum, culminating in its secession from the Republic of Sudan and the birth of an independent Republic of South Sudan on 9 July. Despite the relative peace brought by independence, true peace in South Sudan is threatened by armed groups, rebellions and local conflicts; these have led to the deaths of thousands of people since 2005. Incidences of internal violence among local communities are also on the increase in many parts of the country. Against this backdrop, the Government of South Sudan has launched, and taken the lead, in preparations for national reconciliation and healing initiatives in the country. 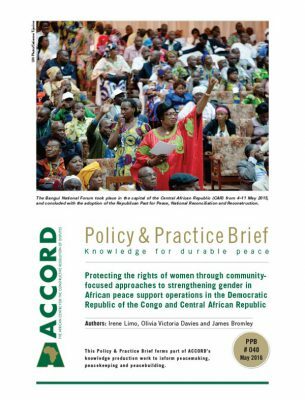 This Policy & Practice Brief (PPB) examines the reconciliation process that post-conflict South Sudan embarked upon, and reflects on the country’s planning and implementation, progress made, and how processes in the country can best be supported to achieve sustainable peace. 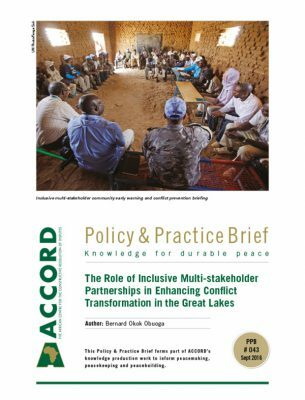 With reference to reconciliation initiatives and programmes implemented in other post-conflict African countries, this PPB also outlines key challenges to the success of the South Sudanese process, and offers recommendations for various stakeholders to support the sustainability and success of the initiatives. Conflict-prone countries tend to be plagued by low incomes, slow or non-existent growth, and primary commodity dependence.2 These issues, along with other internal factors, often lead to unstable conditions in the immediate post-conflict period. The questions for South Sudan are how to avoid these pitfalls and determine the role and importance of reconciliation in light of other state- and nation-building processes. One of the most daunting tasks for South Sudan is creating a ‘nation’ from the mosaic of regional and ethnic groupings in the country; many believe that the implementation of a transitional justice process, such as reconciliation or national healing, is key to achieving this task. This undertaking is geared at forging a united nation and preventing and mitigating further conflicts. The question for South Sudan is how to avoid the pitfalls encountered by other countries that went through transitional justice processes to ensure that the country achieves the desired results. South Sudan also has to be clear on the role and intended outcomes of the reconciliation process it has set out to implement, among other competing state and nation building processes that have been prioritised for implementation. A key question that demands reflection is whether there is a clear definition of the kind of reconciliation that the country anticipates. Furthermore, is the reconciliation process well conceived in terms of planning, agenda and processes? Despite the relative peace brought by independence, the achievement of sustainable peace in South Sudan is challenged by armed groups, rebellions and local conflicts, which have reportedly increased in many parts of the country. Incidences of internal violence among local communities have also increased. With this backdrop, in 2011 the Government of South Sudan initiated the establishment of the South Sudan Peace and Reconciliation Commission by presidential decree – to provide a framework for the implementation of reconciliation activities. promote individual responsibility to bring about change and lead to ringleaders, instigators and agitators of violence overcoming their personal hurdles, to find peace, and lead others to peace support positive change and a more productive, effective and willing society, by building bridges between individuals, communities, the civil service and government, and promote non-violent competition between interest groups enable inter- and intra-communal reconciliation, by mending bridges between communities, encouraging empathy for each other’s suffering, and reconstructing more peaceful relations which are founded on greater respect to ensure a reduction in violence depolarise the political space through the promotion of more established, inclusive and constructive processes, such as more peaceful elections and a more participatory constitutional review build a united nation, by advancing a higher level of social cohesion and wider support for common goals in an inclusive mind-set of nationhood. Preparations for the national reconciliation process began in November 2012 under the leadership of former Vice President Dr Riek Machar, and through consultations with international non-governmental organisations and stakeholders. However, the process and planning stages of the initiative were devoid of input from South Sudanese civil society. In January 2013, the Republic of South Sudan Council of Ministers5 officially gave the green light for the utilisation of funds for the reconciliation process. They followed this up by issuing an official call to the public, through various media, for the country to embark on a journey of national healing and reconciliation.6 According to the former vice president, the National Reconciliation Committee was to launch the initiative with a conference in the capital, Juba, on 18 April 2013, followed by a longer-term reconciliation process covering the country’s ten states. The initiative would be rolled out by the Government of South Sudan, in partnership with Initiatives of Change South Sudan (IoC-SS) and Initiatives of Change International (IoC International) – a Swiss-based organisation. The three implementing partners set out that the reconciliation project would focus on victims of cattle rustling, ethnic violence, sectarianism and other conflicts – with the hope of galvanising efforts to achieve peace and stability in the country. The process began with the training of 200 peace mobilisers from South Sudan’s ten states. The teams of mobilisers, according to a proposal from the National Reconciliation Committee, were trained in preparation for deployment to their respective constituencies. They were tasked with supporting the implementation of the recommendations of the Juba conference, including holding peace dialogues in collaboration with other peace actors. The 200 peace mobilisers returned to their constituencies to canvas communities on the reconciliation initiative. A key shortcoming of the current process is the lack of understanding of, or attempts to explore what reconciliation means to the South Sudanese. Is it reconciliation between former liberation fighters of the SPLA and the populace, for events that took place during the liberation struggle? Or are efforts at reconciliation to be targeted at the various factions of the ruling party, the SPLM? Will the initiative bring together ethnic and sub-ethnic groups currently in conflict? a ritualistic or symbolic act that indicates peace. Studying all countries that experienced civil war in the 20th century, Long and Brecke found that for countries in which a reconciliation event took place, 64% did not return to violent conflict. However, among countries that had not experienced a reconciliation event, only 9% did not return to war. While the dataset and some definitions are questionable, the data is nonetheless interesting. It shows that at political level, factions need to be seen to be reconciled, thus many successful reconciliation processes have placed greater emphasis on dissemination; what one could call the theatre of reconciliation. While reconciliation can take place at any or all of these levels, the design of the process should be tailored differently to address each level – as should issues around justice and responsibility. At the start of planning the reconciliation initiative in South Sudan, more focus was placed on the event of the reconciliation conference and the launch, rather than on the process leading up to and following from this event. 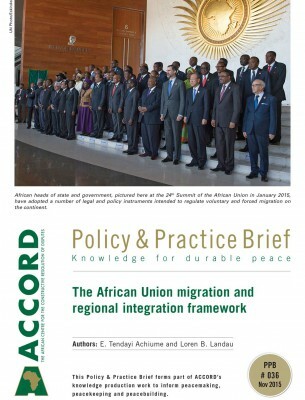 Several African states have dealt with similar quandaries and trade-offs in national reconciliation, as discussed in the sections that follow. 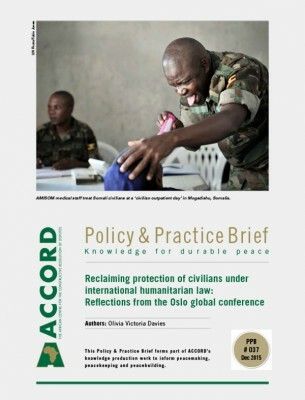 While this brief does not propose the wholesale transposition of models from other states, there are several lessons that the South Sudanese process can learn from examining and understanding the transitional justice processes and experiences of other African countries. Although the concept of transitional justice remains a somewhat ill-defined term, the main unanswered questions revolve around whether or not unique or transitional justice arrangements are really necessary, and what the benefits of reconciliation, as opposed to retributive justice, are.12 The term ‘transitional justice’ is widely understood as a range of temporary processes and mechanisms that allow a society to deal with its troubled history and move forward towards the achievement of sustainable peace. How should a society face and address the legacy of grave crimes perpetrated against its people? Should it punish perpetrators or should it forget and forgive the atrocities and their perpetrators in favour of reconciliation? Regardless of the actual wording of the term, these processes aim to facilitate reconciliation by allowing victims a ‘cathartic’ airing of experiences. While these commissions have become popular in Africa, the first truth commission was actually implemented in Argentina, culminating in the production of the Nunca Mas report of 1984.13 The most famous truth commission in Africa, however, is the one instituted in post-apartheid South Africa. The oft-touted Truth and Reconciliation Commission (TRC) of South Africa is the world’s best known, if not necessarily the most well-understood, case of restorative justice through reconciliation. Established in 1995, the TRC was charged with investigating gross human rights abuses that occurred within a distinct period – 1960 to 1994. An interesting and controversial part of the programme was that perpetrators were offered amnesty in exchange for ‘full disclosure’ of their crimes. In 1994, following the Rwandan genocide and subsequent assumption of power by the Tutsi-led Rwandan Patriotic Front (RPF), Rwanda had some serious decisions to make. Would the new government opt to adopt a South African-style restorative justice process, with an emphasis on healing and reconciliation, or would they choose a retribution and legalistic approach. Due to the fact that many lawyers and judges had been killed during the genocide, the Rwandan legal system was in no position to deal with the massive caseload of genociders. Archbishop Tutu of South Africa had urged Rwandans to forego punishment in favour of amnesties, fearing that ‘justice with ashes’ would be the outcome of Rwanda’s efforts to punish the perpetrators of the genocide.18 Rwanda thus opted for a hybrid system and approached the United Nations (UN) for assistance in implementing it. In 1994, the UN Security Council (UNSC) established the International Criminal Tribunal for Rwanda (ICTR) to prosecute the masterminds of the genocide. Unlike South Africa’s African National Congress (ANC) party, the RPF had defeated its foe on the battlefield and, therefore, felt no pressure to compromise, or offer blanket amnesties to all. Like the TRC, the gacaca courts rewarded those who confessed their crimes, by initially halving their prison sentences. Gacaca law had an intense focus on apologies and forgiveness as an important element of reconciliation. The payment of reparations to victims was a cornerstone of gacaca. Those found guilty had to contribute to a compensation fund and/or perform community service. Gacaca was a pre-colonial Rwandan institution that was primarily used to deal with family or village level disputes. In addition to dispensing justice, the commission was tasked with creating an impartial record of human rights violations committed during the war, and with addressing the conflict’s root causes. Many of the features of the Sierra Leone TRC were borrowed from the South African TRC. The commission was headed by a religious leader, though the choice of a Christian in predominantly Muslim Sierra Leone was of concern. The TRC was able to facilitate victim-offender mediation, but only in cases where the victims welcomed it. Periodic reconciliation ceremonies were held where perpetrators and victims could come together. Many of those who acknowledged their crimes were baptised through a special cleansing ceremony and afterwards ritually reintegrated into their communities. Since 1991, truth commissions to investigate human rights abuses have been used in about 30 countries. The central argument in employing them has remained that the state must bring to light and account for the past actions of present governments, and often of past regimes, in order to begin the process of national reconciliation. The African experience with reconciliation highlights the fact that such initiatives must be contextualised and, to some degree, localised and altered to fit the local context and cultural norms. For a country like South Sudan, conducting a successful reconciliation process is a necessity, although it remains a challenging one. Below are some challenges that could potentially affect the effectiveness and success of the reconciliation process. Government stakeholders were aware of the reconciliation initiative in November 2012, with the initiative due to be launched on 18 April 2013. However, this detail was only shared with the public and civil society stakeholders after its approval by the Council of Ministers in January 2013. This tight timeline left little opportunity for relevant stakeholders to prepare for the process or to make meaningful contributions towards its planning. The initiative has been criticised by several South Sudanese intellectuals and opinion writers as lacking in comprehensive input and insights from a cross-section of stakeholders. They argue that the planning committee has not been taking into consideration insights from national debate in its planning and processes. Furthermore, civic education on the reconciliation initiative has also been lacking. There has been threatened backlash from stakeholders that they have not been adequately involved in the process, which could derail the reconciliation initiative and undermine its neutrality. Other concerns include possible attempts from some actors to use the process to settle political scores. Fears that old political divisions within the SPLA/M from the days of the war will re-emerge are also real. The Government of South Sudan is operating on an austerity budget. The limited funding that is available has been prioritised to cover the 2014 population census and the 2015 elections. It would be incredibly difficult to implement an effective reconciliation process in the context of current funding challenges. The Government of South Sudan and its citizenry do not as yet have a clear and context-specific definition of the kind of reconciliation that they envision and are aiming to achieve. In light of this lack of clarity, achieving sustainable success through the reconciliation process is not guaranteed. National reconciliation is key for South Sudan – however, the process is just as important as the outcome. For the process to be sustainable, several aspects need to be in place. Ensure that ownership of the initiative is clear. 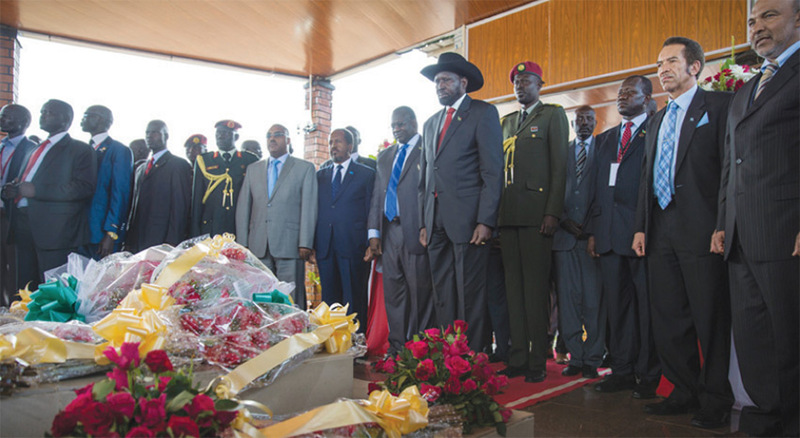 The reconciliation process must be led and directed by South Sudanese themselves. Ensure that the initiative is free from political interference and that it should not be harnessed and used as a vehicle to settle old political scores. 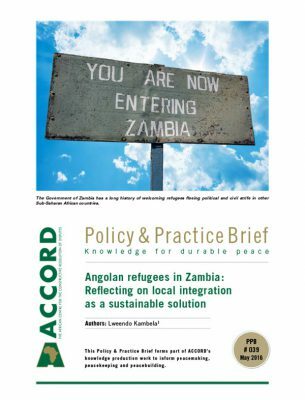 Modify, and if need be, extend, the national reconciliation process – to allow for more consultation to take place at national level – in order to ensure the collection and incorporation of as much multi-sectoral and multi-stakeholder input as possible. Ensure more representative leadership at all levels of national reconciliation structures, including at county level. Prioritise research into legislation options, to ensure that the national reconciliation process remains non-partisan, guards against being hijacked for purposes of revenge, and provides for retribution or amnesty options. Involve the national legislature as representatives of the people and ensure that there is a sufficiently robust national legislative framework to protect individuals participating in the national reconciliation process. The process must also be protected from being tainted by undue influence. Guarantee funding for the follow-up phases before launching the process. There needs to be more clarity on what the national reconciliation process is going to tackle, and how this will work at the state and sub-state levels. Sufficient funding should be secured or committed in advance, to ensure that national dialogue on reconciliation can be had, and heard, at various levels. Ensure that there is sustained media coverage to keep all South Sudanese, at home and in the diaspora, informed of the actual process and the intended outcomes of the initiative. Encourage greater national debate – within the legislative assemblies, in schools and education institutions, via media and religious platforms, etc. This will encourage citizens to give their input on the process, focusing on articulating issues affecting South Sudanese, mechanisms to address them, and their vision for the nation, among others. Conduct a ‘lessons learnt’ review, focusing on South Sudanese peace processes and experiences, such as the Presidential Committee on Peace, Reconciliation and Tolerance in Jonglei; legislative investigations; the Wunlit ‘people-to-people’ process; and the South-South Dialogue. This will improve understanding of the grounds for success and failure, thus guiding what kind of process can be implemented. This review should highlight successes and failures, strengths and weaknesses, while recommending useful aspects that could be applicable in the national case. The dilemma for a country undergoing a transition from conflict to peace is to find a balance between the moral desire for restoration – which inherently involves compromise regarding justice – and the legal desire for retribution, which innately carries the risk of silencing the past. Thus, supporting the retributive justice system, such as through the actions of the police, prisons and formal legal institutions, is also of great importance for reconciliation. Restoring peaceful co-existence and harmony in South Sudan through national reconciliation should not be considered an easy task. It requires analysis of the steps in the planning process before implementation. Studies show that post-civil war societies are significantly more likely to experience civil war again than societies with no prior experience of war. Studies have also shown that even small improvements in economic performance and service delivery – coupled with political openness – significantly decrease the risk of renewed conflict.23 Economic development therefore acts as a deterrent for a return to conflict. Reconciliation must thus be seen as a comprehensive government process with due attention to the economic, social, health and education sectors, if it is to be successful. In addition, the entire government machinery must be engaged, since the fallout of revelations of past crimes is likely to affect the entire nation. If badly managed or poorly planned, the exercise can backfire – potentially returning South Sudan to conflict. United Nations General Assembly. 2005. In larger freedom: towards development, security and human rights for all, Report of the Secretary General, Addendum. United Nations General Assembly. Available from: <http://www.ohchr.org/Documents/Publications/A.59.2005.Add.3.pdf> [Accessed 24 July 2013]. p. 1.; Tschirgi, N. 2004. 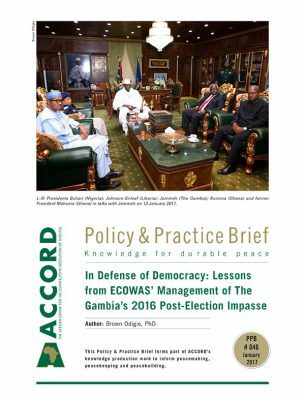 Political economy of armed conflicts and peace building. Conflict, Security and Development, (4) 3, pp. 377–382 > Available from: <http://www.tandfonline.com/doi/abs/10.1080/1467880042000319953?journalCode=ccsd20> [Accessed 20 July 2013]. Collier, P. 2007. Post-conflict recovery: How should policies be distinctive? Centre for the Study of African Economies, Oxford University. Available from: <users.ox.ac.uk/~econpco/research/pdfs/PostConflict-Recovery.pdf> [Accessed 7 June 2013]. Government of South Sudan. 2012. Strategic Plan 2013–2015: South Sudan Peace and Reconciliation Commission. Government of South Sudan. Available from: <http://www.cmi.fi/images/stories/publications/reports/2013/SSPRC_SP%202013-2015_FINAL.pdf> [Accessed 20 June 2013]. Sudd Institute. 2013. Peace and reconciliation in South Sudan: A conversation for justice and stability. 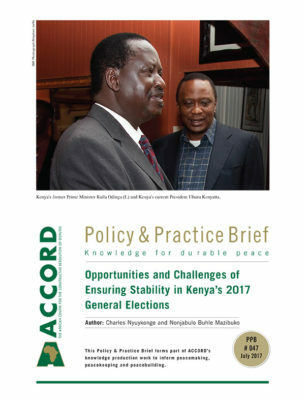 The Sudd Institute Special Report 7 June 2013, pp. 2–4. 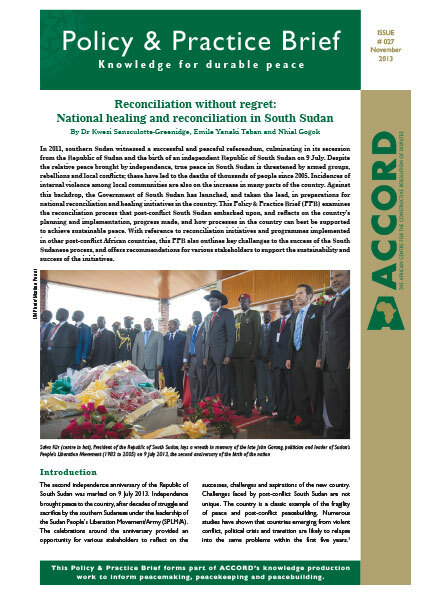 Available from: <http://suddinstitute.org/assets/Publications/National-Reconciliation-formattedSudd-Institute.pdf> [ Accessed 20 July2013]. The Council of Ministers, chaired by the country’s president, Salva Kiir, meets once a week to deliberate on government business. Gurtong News. 2013. VP consults media on national reconciliation agenda. Gurtong News, 8 February. 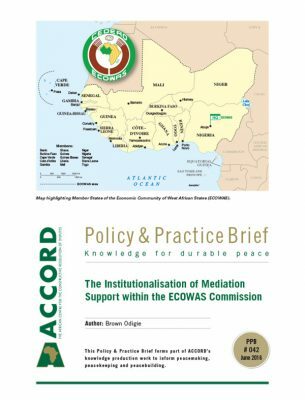 Available from: <http://www.gurtong.net/ECM/Editorial/tabid/124/ctl/ArticleView/mid/519/articleId/9471/VP-Consults-Media-On-National-Reconciliation-Programme.aspx> [Accessed 20 July 2013]. Sudan Tribune. 2013. South Sudan’s Kiir withdraws delegated executive powers from VP Machar, Juba. Sudan Tribune, 16 April. Available from: <http://www.sudantibune.com/spip.php?article46237> [Accessed 20 July 2013]. Sudan Tribune. 2013. South Sudan’s newly appointed national reconciliation committee. Sudan Tribune, 6 May 2013. 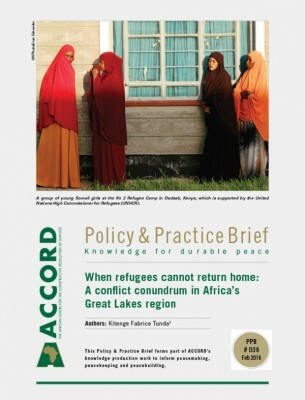 Available from: <www.sudantribune.com/spip.php?article46472> [Accessed 20 July 2013]. Brounéus, K. 2003. 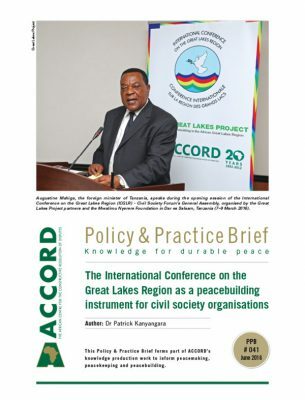 Reconciliation – theory and practice for development cooperation. Swedish International Development Cooperation Agency. Stockholm, Swedish International Development Cooperation Agency. Kriesberg, L. 1997. Constructive conflicts: From escalation to resolution. Lanham, Rowman and Littlefield. Long, W. and Brecke, P. 2003. War and reconciliation: Reason and emotion in conflict resolution. Cambridge, Massachusetts Institute of Technology Press. Uprimny, R. and Saffon, M.P. 2006. Transitional justice, restorative justice and reconciliation. Some insights from the Colombian case. Bogotá, National University of Columbia. Available from: <http://global.wisc.edu/reconciliation/library/papers_open/saffon.pdf> [Accessed 18 July 2013]. Hatch, J. 2006. Between religious visions and secular realities: (Dia)logology and the rhetoric of reconciliation. Available from: <http://global.wisc.edu/reconciliation/library/papers_open/hatch.html> [Accessed 19 July 2013]. S. 2009. Restorative justice: Examples from South Africa, Rwanda, and Sierra Leone. Paper presented at the Annual Meeting of the International Studies Association, 26 May, in Montreal, Canada. Graybill, L. and Lanegran, K. 2004. cit. pp. 1–18. Bizos, G. 1998. No one to blame: In pursuit of justice in South Africa. Cape Town, David Philip/Mayibuye Books. pp 80–87. ; Mail & Guardian. 1996. The ultimate test of faith. Mail & Guardian, 12 April. Available from: <http://mg.co.za/article/1996-04-12-the-ultimate-test-of-faith> [Accessed 19 July 2013]. Graybill, L. and Lanegran, K. 2004. cit. Woods, L.J. and Reese, T.R. 2008. 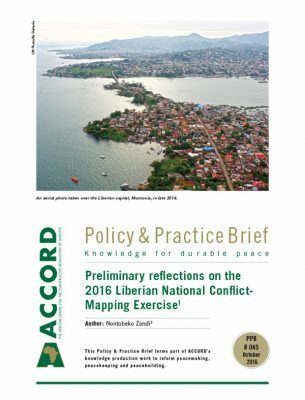 Military interventions in Sierra Leone: Lessons from a failed state. The Long War Series Occasional Paper 28. Kansas, Combat Studies Institute Press, pp. 154. Schabas, W.A. 2003. The relationship between truth commissions and international courts: The case of Sierra Leone. Human Rights Quarterly 25, pp. 1035–1066. Walter, B.F. 2004. Does conflict beget conflict? Explaining recurring civil war. 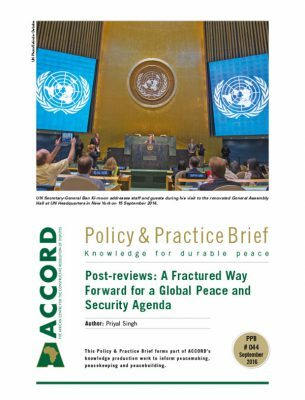 Journal of Peace Research 41 (3), pp. 371–388. Available from: <http://jpr.sagepub.com/content/41/3/371.abstract> [Accessed 20 July 2013].